On July 15, the Beneficent Spiritist Center União do Vegetal convened a Meeting of its International Commission to assess the current activities and the expansion of the Center internationally, and to deliberate about these themes. 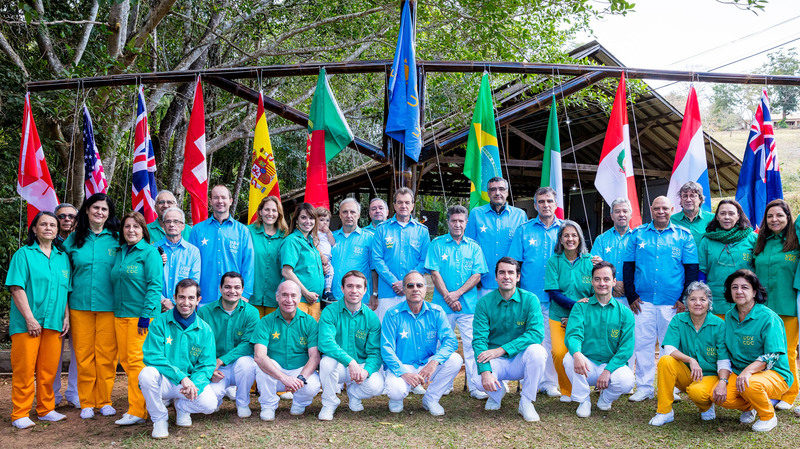 The meeting was held at Fazenda Vale Dourado, in the municipality of Luziânia, state of Goiás, Brazil, and was attended by members of the Commission, guests and UDV authorities, among them General Representative Mestre, Clovis Cavalieri Rodrigues de Carvalho, General Assistant Mestres Luiz Felipe Belmonte dos Santos, and Edson Lodi Campos Soares, and the President of the General Directorate, Wladimir Fogagnoli Ferraz. 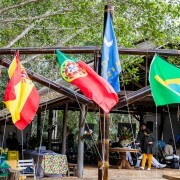 The meeting addressed several topics related to the international expansion of the União do Vegetal, involving primarily the legal procedures for importing and using the Hoasca tea in the different countries, the means for transporting it, and the preparation of UDV leaders, in particular, among the native citizens of each country, who represent the future of the União do Vegetal in their nations. Several steps have been taken since the beginning of this expansion and its activities some years ago. The Commission of Studies of the União do Vegetal is responsible for studying the ability of the UDV to grow in an orderly and safely planned way, and it has reviewed many aspects in connection with these themes. Based on their experience and analyses, the meeting’s attendees deliberated to maintain a specific commission to continue assessing the legalization of the use of the Hoasca tea internationally (in the UDV, the Hoasca tea is also known as Vegetal, and outside its purview, it is known as Ayahuasca). 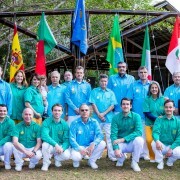 The commission is currently composed of five members: General Assistant Mestre Luis Felipe Belmonte dos Santos; Mestre Jeffrey Bronfman (Núcleo Santa Fe, New Mexico, USA); Central Mestre of the 1st Region of the United States of America, Paulo Afonso Amato Condé; Central Mestre of the 1st Region of Europe, Luis Alberto Barreto; and Leonardo Paupério (member of the Instructive Body of the General Headquarters, Brasilia, DF, Brazil). The attendees of the meeting decided that the commission will continue its work to ensure the right to the religious use of the Vegetal, based on consistent studies of the laws of the countries in which the União do Vegetal is present, and of other countries where it may be established with the support of local lawyers. Mestre Felipe Belmonte reminded us that the UDV is known as a beacon in the responsible use of the Vegetal – a recognition that emerged during the regularization of the religious use of the Hoasca tea in Brazil, as well as in the United States and, more recently, in Canada. Mestre Clovis Cavalieri affirmed that the international expansion of the União do Vegetal and its work have been implemented in an excellent and responsible way, and expressed his gratitude for all the work that has been accomplished in this field. Mestre Clovis also highlighted that this meeting was of great importance for the existence and expansion of the UDV on Earth. The current status of the UDV in each of the 10 countries where it is active beyond Brazilian borders was presented and assessed in detail during the meeting. Among the topics of the meeting, the attendees addressed the problem of the distorted use of the Vegetal dissociated from its religious context, which is known to be taking place in other countries, including the commercialization of the Hoasca tea, and the necessary measures in order to preserve its responsible use within its purely religious context. Other commissions within the UDV will continue to study the international field with specific goals, such as information collection about the use of the Hoasca tea in the world, the preparation of new institutional videos, international registration modalities for the UDV, and the assessment of aspects of the UDV doctrine in relation to different cultures, along with translations, relations with other institutions that use the Hoasca tea, relations with the scientific community, and the preparation of international seminars and congresses about themes connected to the institutional interests of the UDV. In addition to Brazil, the União do Vegetal is currently present in 10 countries: Australia, Canada, Italy, Netherlands, Peru, Portugal, Spain, Switzerland, United Kingdom and United States. The UDV is intensely working to preserve the legal status of the use of the Vegetal in each of these countries. At the present moment (July 17, 2017), the UDV has nearly 20,000 associates from 45 nationalities worldwide. These figures are a current expression of Mestre Gabriel’s words and intention of bringing peace to all nations. The Hymn to the Flag of the União do Vegetal was sung by all participants at the opening of the meeting, as the flags of Brazil and of the additional 10 countries were hoisted along with the flag of the União do Vegetal. Previously, on May 20th, 2017, a historical Vegetal Session was directed by Mestre Clovis Cavalieri with the presence of 110 persons from 21 nationalities in Geneva, Switzerland.